We have put together a gorgeous foursome of colors for the new Color Challenge. I masked off an oval on a piece of Smooth White card stock. 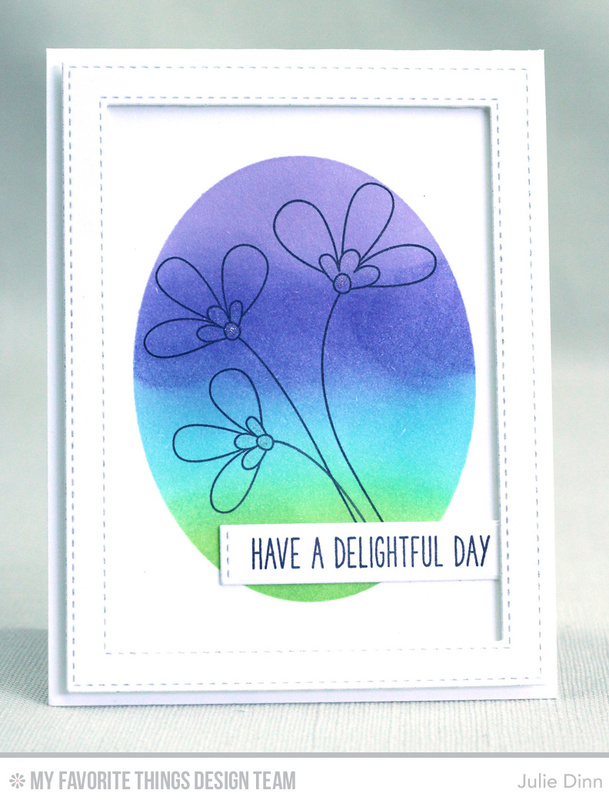 I stamped the flowers from the Build-able Bouquet stamp set inside the oval. Using a Blending Tool I sponged Wild Wisteria, Lavender Fields, Blu Raspberry, and Sour Apple Premium Dye Ink. I then added a touch of shimmer to the flower centres with the Wink of Stella pen. I finished off the card with a sentient from the Sweet Forest Friends stamp set and a Stitched Rectangle Frame. Beautiful CAS design. Love the colors. Beautiful card, Julie! The colors and the CAS design just pulled me right into it!